Today marks 100 years since the guns fell silent in World War 1. As we spend the day remembering the millions who died, I wanted to honor my ancestors who fought in WW1. All but one of them survived the war. Arthur Edward Price was born in early 1880 to Thomas and Mary Ann Price, and was brother to my Great-Great-Grandfather George Frederick. He was wounded in the right arm and thigh on 29th May 1917 in France. He was awarded the British War Medal and the Victory Medal. “British Army WW1 Service Records, 1914-1920” entry for Arthur Edward Price, 1916, Regimental No. 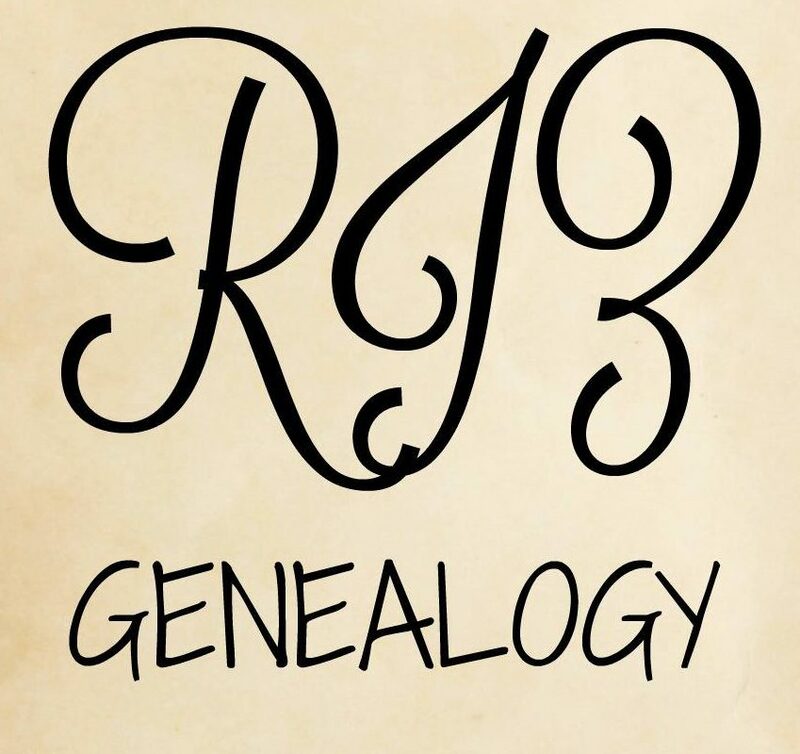 5803, Ancestry.co.uk (www.ancestry.co.uk: accessed 10 Nov 2018). Sydney Howard Stares was born on 15th September 1884 to John and Maria Stares and was brother to my Great-Great-Grandmother May. He was baptized 17 July 1887 at Christ Church Hornsey. “London, England, Births and Baptisms, 1813-1906” entry for Sydney Howard Stares, 17 Jul 1887, Christ Church Hornsey, database and images, Ancestry.co.uk (www.ancestry.co.uk: accessed 9 Nov 2018); citing London Metropolitan Archives, London Parish Register, DRO/023/I/A/01/002. He joined the Royal Navy on 6th May 1901 and served on several different ships in his almost 20 year career. He served on the HMS Southampton from 13 March 1914 to 16 July 1915, and would have most likely participated in the Battles of Heligoland Bight and Dogger Bank. “UK, Royal Navy Registers of Seaman’s Services, 1848-1939”, entry for Sydney Howard Stares, Service No. 214535, database and images, Ancestry.co.uk (www.ancestry.co.uk: accessed 9 Nov 2018); citing National Archives, Royal Navy Registers of Seaman’s Services, Class:ADM 188, Piece 376. Sydney survived the war and died 13th April 1948 in Battersea, London. Alfred John Thrussell was born on 18th June 1872 to George and Sarah Thrussell and was brother to my Great-Great-Grandmother Sarah Jane. He was baptized on 29th December 1872 in Harpenden, Hertfordshire. Alfred first enlisted in the Army in 16 October 1889 and served in several Regiments including the 97th Foot Soldiers and Royal West Kent Regiment. He served for 12.5 years. “British Army WW1 Pension Records, 1914-1920”, entry for Alfred John Thrussell, 1889, Regiment No. 2612, database and images, Ancestry.co.uk (www.ancestry.co.uk: accessed on 10 Nov 2018). Alfred married Harriet Elizabeth Ann Bryant on 1st Nov 1904 at Christ Church Deptford. They quickly had three children – William (1904),Arthur (1907) and Winifred May (1910). “London, England, Church of England Marriages and Banns, 1754-1921,” database and images, Ancestry.com (www.ancestry.com: accessed 9 Nov 2018), entry for Thrussell-Bryant,1 Nov 1904, Christ Church Deptford; citing London Metropolitan Archives, Church of England Parish Registers, P95/ctc/010. When World War 1 broke out, he reenlisted into the Army aged 41 years old. As seen below in his Army Pension, he remained in the Army Reserve from August 1914 until his demobilization in March 1919. Although it is unknown exactly where he served during the War, he would have seen fighting during that time. “British Army WW1 Pension Records, 1914-1920”, entry for Alfred John Thrussell, 1914, Regiment No. 24289, database and images, Ancestry.co.uk (www.ancestry.co.uk: accessed on 10 Nov 2018). Alfred died on 18th June 1951 aged 78 years old in Watford. General Register Office. Death Certificate, Watford, Hertfordshire, Alfred John Thrussell, Jun 1951, Vol 4b, Page 256. Alfred John Bolton was born on 27th May 1881 to James and Louisa Bolton, and was the brother of my Great-Great Grandmother Mary Louisa. He was baptized on 7 August 1881 at St Mary Magdalene Church, Islington. “London, England, Births and Baptisms, 1813-1906” entry for Alfred John Bolton, 7 Aug 1881, St Mary Magdalene, Islington, database and images, Ancestry.co.uk (www.ancestry.co.uk: accessed 8 Nov 2018); citing London Metropolitan Archives, Church of England Parish Registers 1754-1906, Ref No. p83/mmg/002. He joined the British Army and was sent to the Queen’s Royal West Surrey Regiment (Regimental No. L/10769). He was 34 years old when he killed in action on 25 September 1915 in France & Flanders. This was the first day in the bloody Battle of Loos. He is buried at the Loos Memorial in Loos-en-Gohelle, France. “UK, Army Registers of Soldier’s Effects, 1901-1929”, entry for Pvt Alfred John Bolton, 25 Sep 1915, Reg No. 10769, database and images, Ancestry.co.uk (www.ancestry.co.uk: accessed 8 Nov 2018); citing National Army Museum, Chelsea, London, Record No Ranges: 226001, Ref No. 103. After his death, he was awarded the trio of British WW1 medals – The 1914-1915 Star, the Victory Medal and the British War Medal. “British Army WW1 Medal Rolls Index Cards, 1914-1920”, entry for Alfred J Bolton, Queens Reg, database and images, Ancestry.co.uk (www.ancestry.co.uk: accessed 8 Nov 2018); citing Army Medal Office, WW1 Medal Index Cards. Frederick Bolton was born 1 March 1888 to James and Louisa Bolton, and was the younger brother to the aforementioned Alfred John Bolton. He was baptized on 28 Oct 1888 at Hackney St John. “London, England, Births and Baptisms, 1813-1906” entry for Frederick Bolton, 28th Oct 1888, St John, Hackney, database and images, Ancestry.co.uk (www.ancestry.co.uk: accessed 8 Nov 2018); citing London Metropolitan Archives, Church of England Parish Registers 1754-1906, Ref No. p79/jn1/041. In 1904, he joined the Army attached to the York and Lancaster Regiment. As seen his Military History Sheet, he served several times in France and the Mediterranean during the war. “British Army WW1 Service Records, 1914-1920”, entry for Frederick Bolton, 1904, Regiment No. 7964, database and images, Ancestry.co.uk (www.ancestry.co.uk: accessed 10 Nov 2018). Unlike his brother, Frederick survived the war and went on to marry and have children. He died in Winter 1943 in Hackney, London. Benjamin Donoghue was born in Spring 1877 to John Donoghue and Sarah Harriet Marsden, and was the brother of my Great-Great-Grandfather Frederick Donoghue. He married Bridget Linehan in 1909 in Woolwich, London. Although details are not available of when and where he served, he did receive the Victory and British War Medal whilst serving as a Private with the Kings Royal Rifle Corps. He survived the war, but additional details of his life are unknown. “British Army WW1 Medal Rolls Index Cards, 1914-1920”, entry for Benjamin Donoghue, Kings Royal Rifle Corps, Reg No. 5097, database and images, Ancestry.co.uk (www.ancestry.co.uk: accessed 9 Nov 2018); citing Army Medal Office, WW1 Medal Index Cards. George Henry Williams was born on 7 September 1898 to Albert Henry and Emily Williams in Clapham, London. He was baptized on 14 Nov 1902 at Clapham Holy Trinity. “London, England, Births and Baptisms, 1813-1906” entry for George Henry Williams, 14 Nov 1902, Clapham Holy Trinity, database and images, Ancestry.co.uk (www.ancestry.co.uk: accessed 10 Nov 2018); citing London Metropolitan Archives, Church of England Parish Registers 1754-1906, Ref No. P95/TRI1/149. He enlisted in the Army on 2nd February 1914 aged 18. He served through the entirety of the war, although exact locations are not known. “UK, Royal Air Force Airmen Records, 1918-1940”, entry for George Henry Williams, 12 Feb 1917, Service No. 59303, database and images, Fold3 (www.fold3.com: accessed 10 Nov 2018); citing National Archives, Air Member for Personnel and Predecessors, Airmen’s Records; Series No. AIR 79. After the war, George married and had three children. He died on 12 April 1965 in Merton.